Due to growing market expectations, a new AHD by NOVUS technology has emerged - AHD Multistandard. It enables the device to work in one of three high resolution standards: AHD, CVI and TVI as well as 960H standard resolution. Additionally, the AHD NOVUS recorders operate in a hybrid mode, allowing simultaneous connection of analog and IP cameras. This guarantees the gradual upgrading of monitoring systems as well as the cooperation between cameras and recorders supporting different standards. 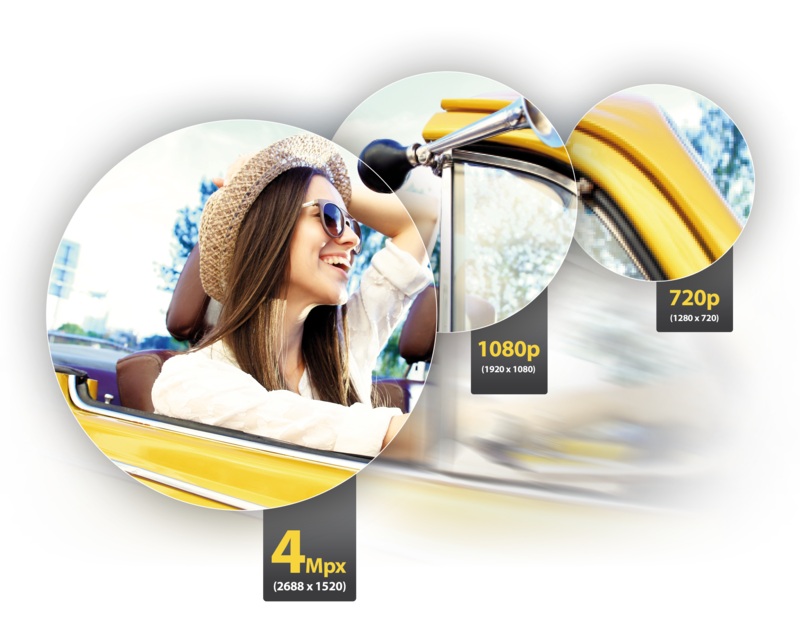 The dynamic development of high-resolution analog systems resulted in 4 MPX devices. This gives an opportunity to observe and record an image with a high amount of details while maintaining a large transmission range. Both the AHD Multistandard and the AHD 4 MPX are equipped with a motor-zoom lens for remote adjustment of focus and focal length. The new AHD devices unlike standard analogs offer the opportunity to manage camera functions such as menu navigation, camera settings, lens control or PTZ control (dome cameras) through recorder via the video cable. Recorders AHD by NOVUS are compatible with known and reliable NMS software, thus the application of new technology does not require knowledge of new program. NMS is a professional platform operating with all recorders in NOVUS offer, which ensures simple development of existing systems. AHD recorders allow to stream all channels as an RTSP stream. IP systems have revolutionized the image quality in video surveillance, but exchanging the existing analog devices for their IP equivalents is difficult and expensive due to necessity of replacing the cable infrastructure. In this case, AHD technology is a perfect solution, which can be used to upgrade existing analog surveillance systems. Where the high image quality is required, but replacing analog devices with IPs is beyond the abilities, there AHD shows up! AHD technology enables signal transmission in 1920x1080 resolution at a distance up to 500 m and in 4 MPX at a distance up to 350 m using the coaxial cable. Thus the installation becomes easy. Extra knowledge of network technologies in the IT field is not required for the installation. Setting the remote preview with the P2P technology is dead easy! Just scan the QR-code. While modernizing the existing analog installation there is no need to replace the wiring. 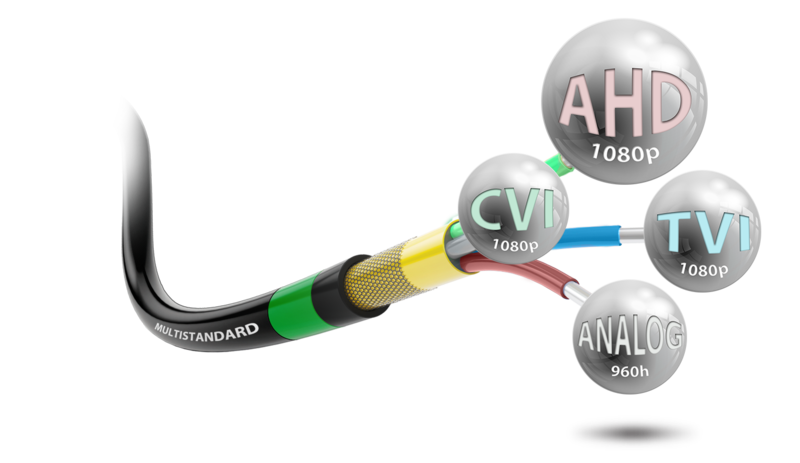 The AHD technology has been adapted to high-resolution video transmission using coaxial cable or twisted pair. With keeping the same wiring (RG59, RG6, UTP cat. 5e), all you have to do is replacing the final devices. That’s the way we save time and money! Out of concern for reliable AHD video surveillance system operation, new devices have been introduced, which should be an integral element used in VSS systems. Electronic devices are exposed to various risks related to voltage changes and this is why it is very important to protect them properly. Unfortunately, not everyone remembers about protecting system against such events. Surge protectors are relatively cheap, considering the price of the entire system. It is worth it to invest in surge protectors purchase to avoid risks associated with failure, which entail much greater costs. An example of video signal, control and power supply protection with NVS-021VPSD-HD surge protector. RETHINK THE ANALOG TECHNOLOGY. CHOOSE AHD by NOVUS.